Climate is mainly effected by wind patterns over the earth's surface, and these changes in wind patterns are generally caused by changes in the earth's energy balance, as mediated, among other things, by changes in ocean currents and ocean temperatures. A well-known example is the El Nino/Southern Oscillation (ENSO), the eastward (toward South America) expansion of a pool of warm water usually found in the western Pacific Ocean; global temperatures generally rise during an ENSO. The variables in equation (3-6), S, a, and Ai, are called "climate forcing agents" because changes in these variables "force" changes in climate. If we take T, the average surface temperature of the earth, as an indicator of climate, then equation (3-6) allows us to determine the main factors that affect climate and even the magnitudes of possible effects. It can be seen that the solar constant, the earth's albedo, and the greenhouse effect all help to determine T.
It has always been tempting to attribute major climatic variations, like those between glacial and interglacial periods, to variations in the solar constant, that is, to variations in solar irradiation. There is considerable evidence for this hypothesis, more because of variations in the earth's orbit and in the inclination of different latitudes toward the sun during different seasons (see Section 3.3.2) than because of major changes in the emission of radiation from the sun. The sun is quite variable in its emission of x-rays and even some ultraviolet radiation, but the emission of visible and infrared radiation seems to be quite steady, increasing, however, about 0.12% from the minimum to the maximum number of sunspots in the (usually) 11-year sunspot cycle (see Figure 3-11). Small climate changes have been associated with the sunspot cycle during this century, but 11 years is a short time and there are many other influences on climate. Some extreme variations in sunspot activity have, however, been correlated with major peculiarities of climate. The coldest part of the "little ice age" appears to be concurrent with a 70-year minimum in sunspot activity during the late seventeenth and early eighteenth centuries, the "Maunder minimum." There is some evidence that the solar constant decreased by about 0.14% during the Maunder minimum. The solar constant is presently being monitored by satellite measurements, and thus proper evaluations of its effect on climate will be possible in the future. 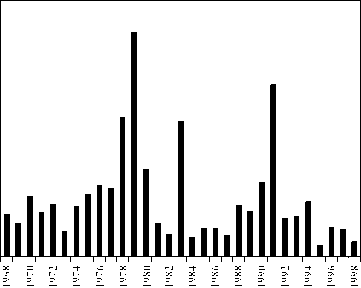 FIGURE 3-11 Reconstructed solar irradiance from 1874 to 1988. Redrawn from J. T. Houghton, G. J. Jenkins, and J. J. Ephraums, eds., Climate Change, Science, Impacts, and Policy. Cambridge University Press. New York. Copyright © 1990. Used by permission of the Intergovernmental Panel on Climate Change.